I recently received a screener from a passionate indie filmmaker promoting his debut horror film. That filmmaker was Jimmy Weinholz, who many of you will know from his highly successful horror podcasting network, The Horrific Network , which he created two years ago. Beginning with their flagship show “The Horrific Podcast” in August 2014, the Network has grown to three different horror-focused podcasts with a large listening audience. As a lifelong horror fan, Weinholz wanted to take his passion for genre films to the next level by making his own movie. He wrote the script for DOOR TO DOOR, an anthology-esque film about seven people who each have to face their inner demons…as well as some actual demons representing the manifestation of their deadly sins. He then took to Indiegogo to raise funds for the production of the film and the necessary practical and makeup effects needed to bring his story to life. 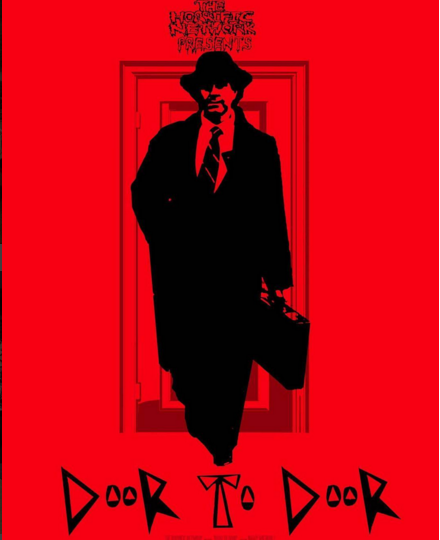 DOOR TO DOOR is based on seven people each of which is guilty of one of the seven deadly sins. The film’s main antagonist “The Doorman” approaches each of the seven as a door-to-door salesman selling a new product that his corporation is producing called “Septum” (Latin for 7). The Doorman claims that this new pill is obviously a cure all miracle drug for what ails each person. However after taking just one of the pills, our victims experience their own personal nightmares that they can’t escape. The film initially had a budget of $5,000. However, Weinholz was unable to raise enough money through the crowdfunding campaign. Thus, the film ended up being made for less than $1,000. This definitely a low budget affair, and it shows. However, it’s impressive what he was able to achieve with such little money. The movie was filmed primarily in Modesto, California, with an entirely volunteer cast and crew. Most of those who worked on the film were also local actors, filmmakers, or horror enthusiasts. This is a true passion project made by people who love and respect the art of independent and genre filmmaking. 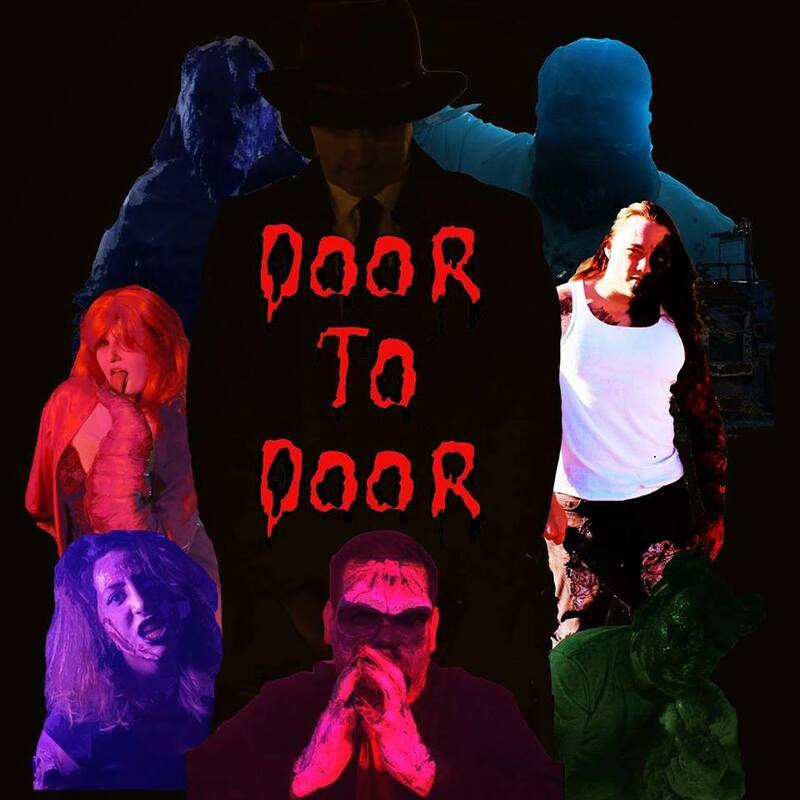 While not an anthology film in the traditional sense, DOOR TO DOOR borrows somewhat from the structure by offering a single story broken into seven different segments, each featuring a different character battling a different deadly sin. One by one, the characters get visited by a mysterious door-to-door salesman, who we quickly learn is selling much more than just the “magic” pills he pushes to each of his victims. Once someone takes one of the pills, presented as a cure-all for whatever “ails” them, they are transported to a nightmarish setting where they must confront the demon representing their particular sin. The concept is creative and reminiscent in many ways of classic episodes of The Twilight Zone. 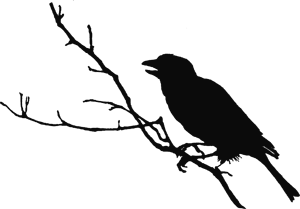 The homage seems to be quite intentional, as there is even in a scene in the film where the salesman quips that he doesn’t watch television…except for the occasional episode of The Twilight Zone. The film, not quite feature length at just over 60 minutes, quips along at a decent pace as we move from sin to sin. There’s some fun in guessing the sin and wondering how each sin will manifest, along with what consequences are in store for the sinner. The segments are varied enough that you never really know what to expect from one to the next. Given that all of the actors are volunteers who just happened to be passionate about the project (and not professional actors), don’t expect a lot of standout performances. I did, however, really enjoy the performance of the salesman. With such a pivotal role needed to tie all the stories together, he had the necessary “devilish” charm and charisma to really sell the story and make the segments work. Without pulling punches, there’s plenty of technical issues with this film, including problems with sound and editing at the forefront. The makeup effects could have certainly been more impressive with a larger budget, but that’s easy to forgive…and the concept for the look of each of the seven demons was unique and interesting. What’s most important, in spite of any shortcomings, is the promise shown in this micro-budget debut. There’s a lot of heart and creativity on display, and it’s easy to see the potential for something really exceptional given a much larger budget and more resources. I, for one, look forward to seeing what Weinholz does next. And I hope people will continue to support and appreciate independent filmmakers like him who pour their hearts and souls into creating something new and interesting for genre fans craving a change of pace from formulaic studio films. DOOR TO DOOR enjoyed its premiere at the Speakeasy Lounge in Modesto, California on February 21st. It’s now being submitted to a variety of independent film festivals and will be made available for general audience on YouTube and Vimeo in the near future. You can stay up-to-date on future screenings and online release dates by following the film’s Facebook page.